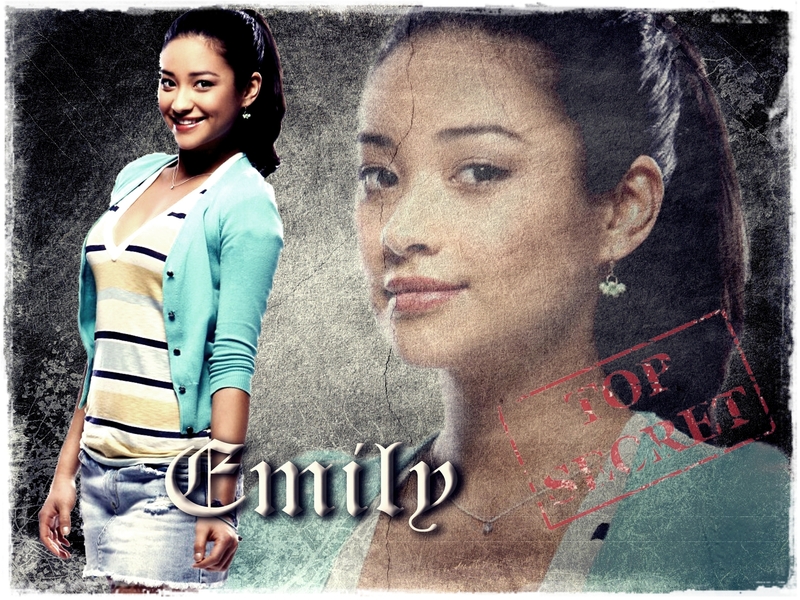 PLL - Emily. . HD Wallpaper and background images in the 프리티 리틀 라이어스 club tagged: pretty little liars season 1 emily. This 프리티 리틀 라이어스 wallpaper contains 초상화, 얼굴, 근접 촬영, 얼굴 만, 세로, 헤드샷, 애니메이션, 만화, and 만화책. There might also be 양말, 호스, 매력, 섹시한 레이저, 호소, 섹시 함, 섹시 한, 기호, 포스터, 텍스트, 칠판, 사인, and 서명.